I’ve been working on my abundant mindset with everything that I do in life. I’m also training myself to not settle for things and if I really want something to go out and get it! Or in this case, create it! In Hawaii, we don’t have any vegan places that serve brunch. So instead of wishing I were in California or Oregon where they have tons of vegan options, I decided I will create all the things that I want to eat myself! Last week I made French toast. This week I made vegan pancakes for the first time! They were DELICIOUS and easy to make. I stacked them up high and beautiful to create my lavishly abundant meal. I used this simple recipe here. 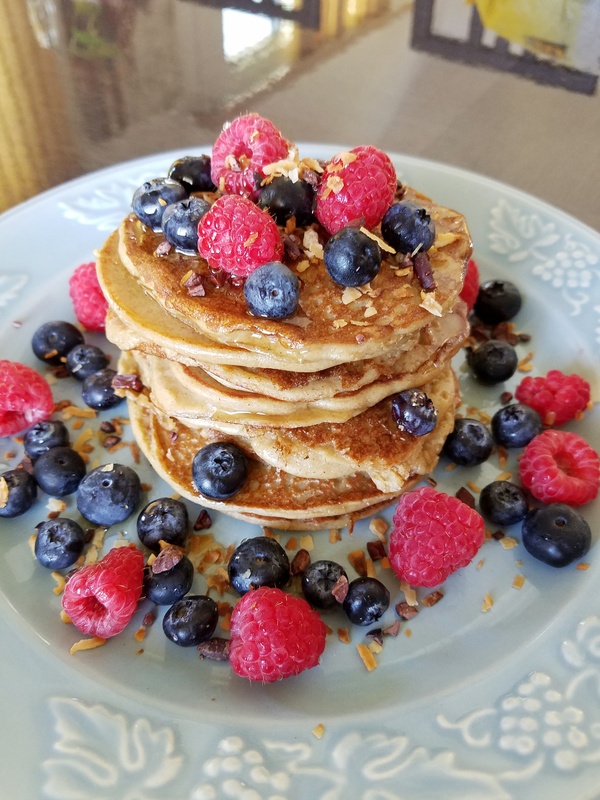 I wanted to make the pancakes more substantial and filling so I added my favorite protein powder to the batter as well as vanilla extract and cinnamon. I also used more soy milk since the protein powder thickens the batter a lot. 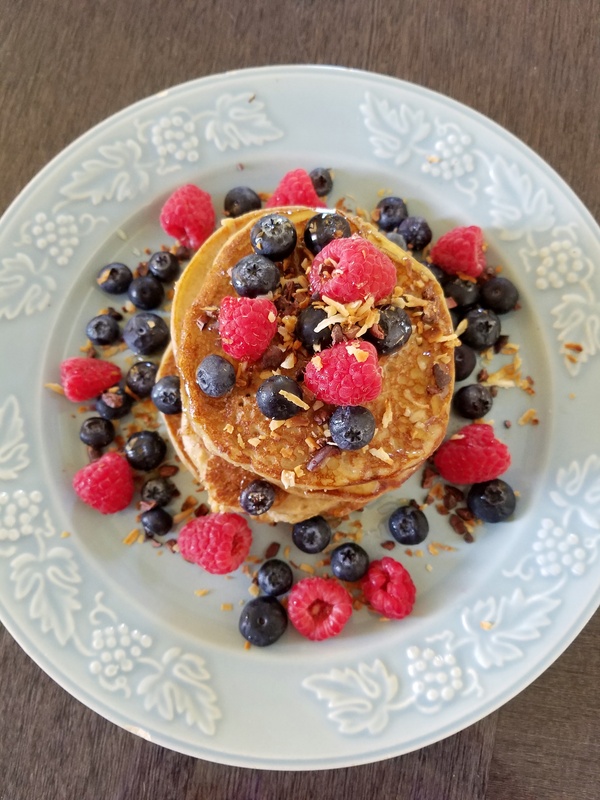 I topped these yummy pancakes with blueberries, raspberries, coconut flakes, cacao nibs and agave syrup! I need to work on my pancake making skills though! Haha. You are the creator of your life so make it a great one. What do you do to strengthen your abundance mindset? Let me know!